Hedbanz Act Up! is the fast-acting family game where everyone's a star! Guess what's on your head before the time runs out! 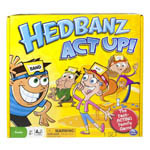 Hedbanz Act Up! is the fast-acting family game where everyone's a star! Each player draws a Game Card and puts it in their headband for everyone else to see. On your turn roll the die - whoever's headband matches your roll will act out clues to your card. Can you guess what's on your head before time runs out? Hedbanz Act Up! is family fun for 2-6 players ages 8+. 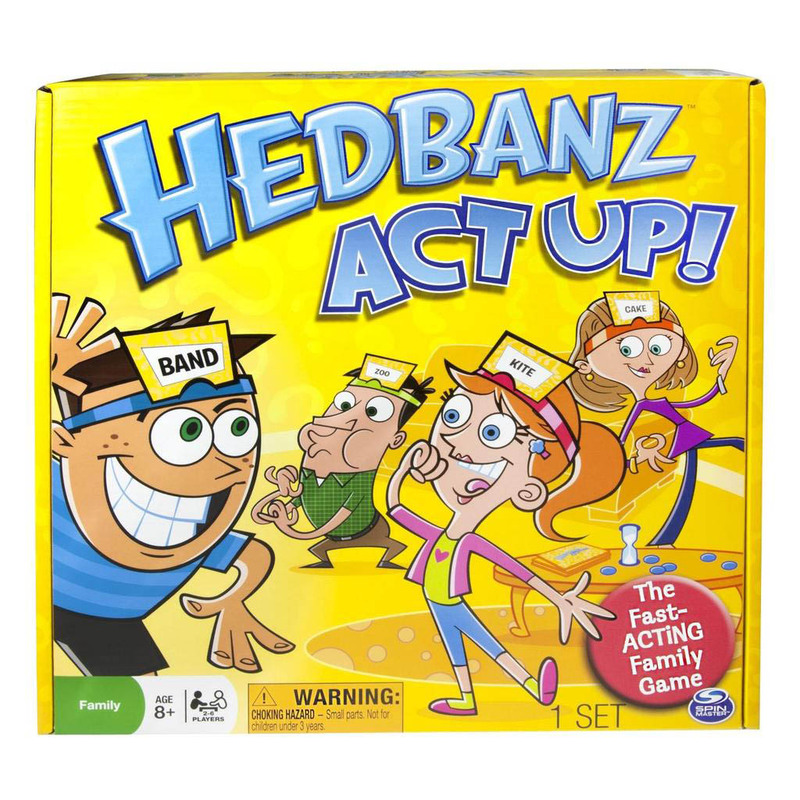 Act fast with Hedbandz Act Up! Get ready for a hilarious, high speed game where actions speak louder than words! 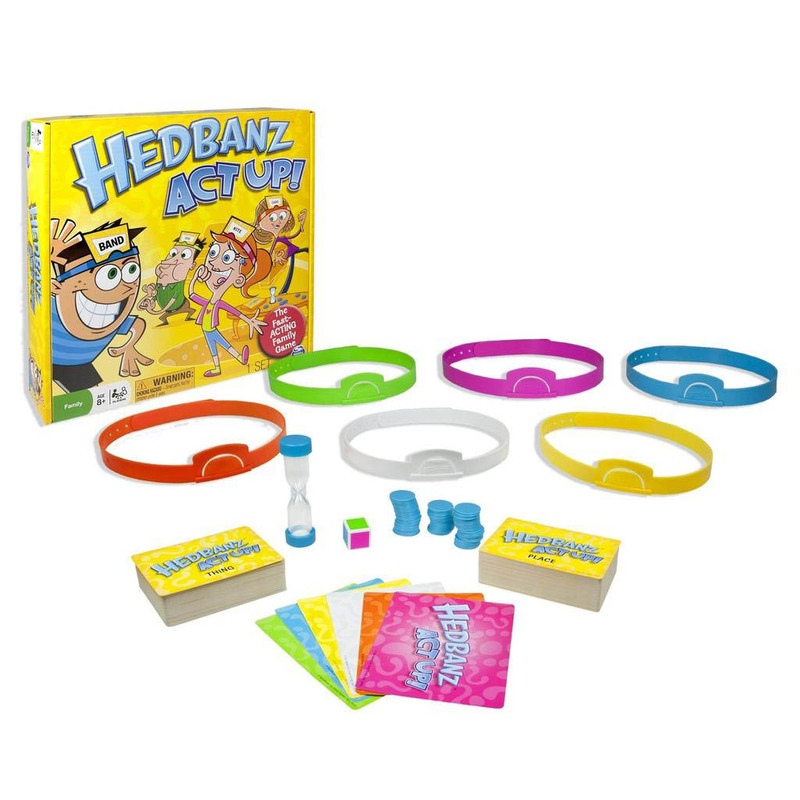 Based on the award winning Hedbandz, players must place a card in their headband and watch others act out your card. The catch? No talking allowed! Players must guess before time runs out. Hedbanz Act Up! is a fun, fast paced, and simple game that&apos;s perfect for any game night, giving everyone from Junior to Grandma a chance to shine.